A freshman Democratic congressman who was just given a coveted seat on the House Judiciary Committee said on Friday that he plans to look into whether Supreme Court Justice Brett Kavanaugh committed perjury during his confirmation hearing. Rep. Joe Neguse (D,. Colo.), speaking at a meet and greet with constituents in Colorado on Friday, was asked whether he intends to use perjury as a means to impeach Kavanaugh, according to video captured by conservative group America Rising that was shared with the Washington Free Beacon. Neguse responded by saying "there's no question that he committed perjury." "So I think that's something that will come up before the Judiciary Committee," Neguse said. "There's no question he committed perjury during the confirmation hearings and so forth, so I think the Judiciary Committee is likely to take that up." 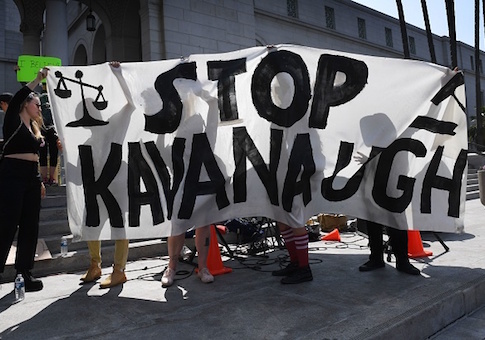 Democratic groups have been pushing for an aggressive response to the Kavanaugh confirmation. Democratic National Committee chairman Tom Perez spoke to a group late last year that's advocating for not only impeaching Kavanaugh, but also packing the Supreme Court with additional judges if the party is to take power.